Arbaaz, 39, had been arrested in a chit fund scam case. He was released three months ago on bail. 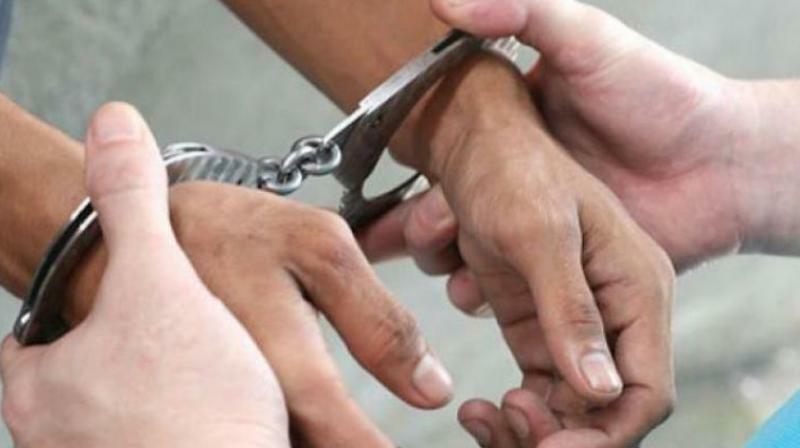 Chennai: A man who was released on bail after being arrested for fraud was kidnapped by a group of men on Monday. On Monday morning, Arbaaz was kidnapped from his residence in Kamakshi Nagar, Pallikaranai. His wife Rekha immediately alerted the Pallikarani police who began to probe the case. Soon, Rekha received a threat call where someone demanded Rs 50 lakh as ransom. The police traced the number to a location in Ariyur, Vellore and rushed to the location. There, they found Arbaaz flanked by Prem, 29, from Vaniyambadi and Dhanvir, 28. The duo was arrested and have been remanded in judicial custody. The police are now on the lookout for the other three, police sources said.